Harley-Davidson® Authorized Rentals is an easy way to get out on the open road riding the latest Harley® models, whether it’s in your neighborhood or on another continent. You may be going on vacation and are ready to cruise along the coast, wind through the mountains or zip across the desert. Perhaps you would like a longer trial before deciding on your purchase. Perhaps your bike is being serviced and you can't wait to ride. Or maybe you are travelling on business or pleasure and want to inject a little excitement into your trip. 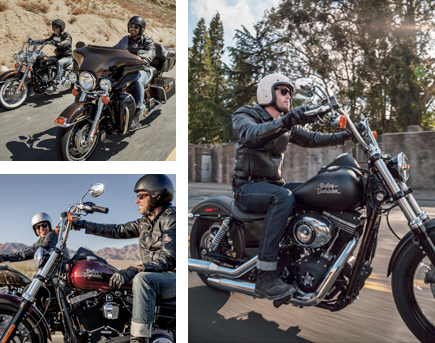 Whatever your plans, enjoy the legendary quality and service of Harley-Davidson® Authorized Rentals on your next ride. Contact us to find out more and book your Rental today.